Kapoteswara or Kapota Ishwara is one among the one thousand names of Shiva. 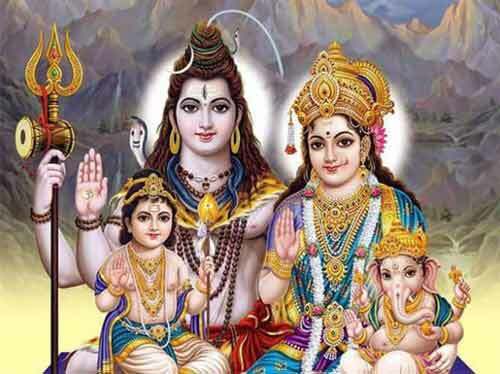 The name is also included in the one hundred names of Shiva. Kapota means pigeon. The story of Shiva as Kapoteswara is included in the Skanda Purana. Legend has it that Shiva once undertook severe tapas (ascetic practice of surviving in severe conditions). Shiva did not eat or drink and lived on air. He avoided all activities. As a result of the severe tapas, Shiva shrunk to the size of pigeon. Henceforth, he was known by the name of Kapota. It must be noted here that the famous Amarnath Cave Shrine there are two white pigeons always present. There is another story which states that fed with the never ending desires of certain humans, Shiva got angry with them and turned them into pigeons. These pigeons live in Shiva temples and sacred places hoping to get their curse revoked.